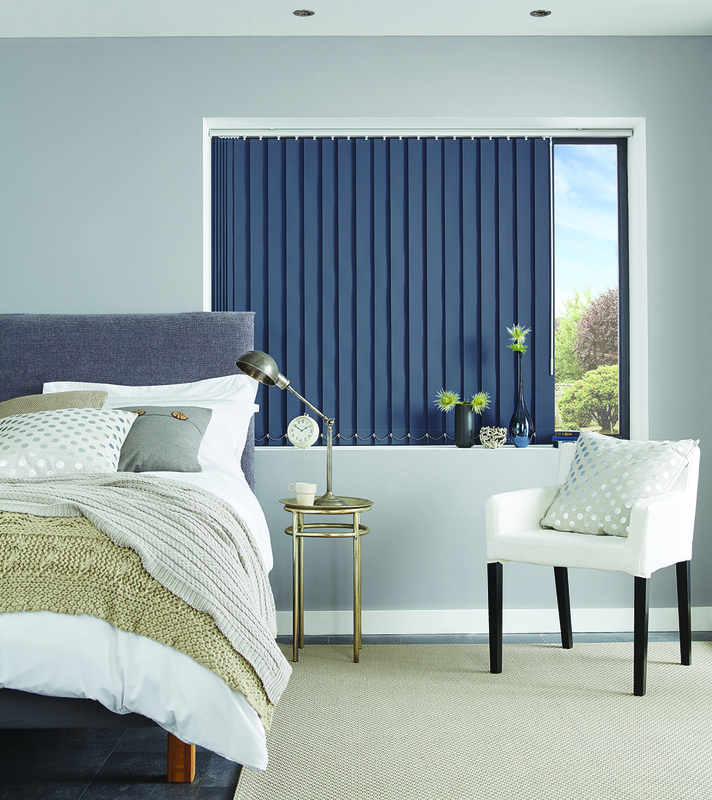 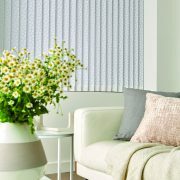 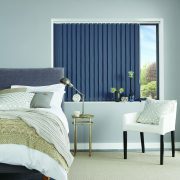 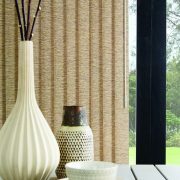 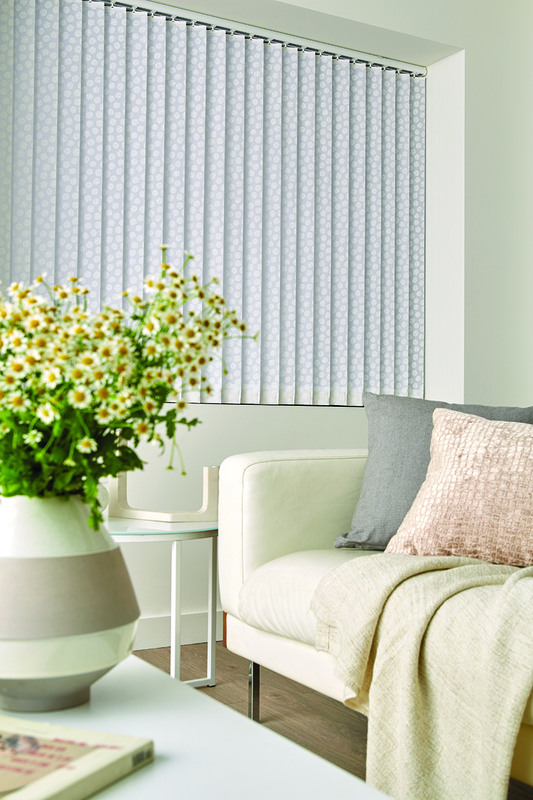 Vertical Blinds offer a great solution for flexibility and privacy with modern clean lines and a huge range of beautiful fabrics. 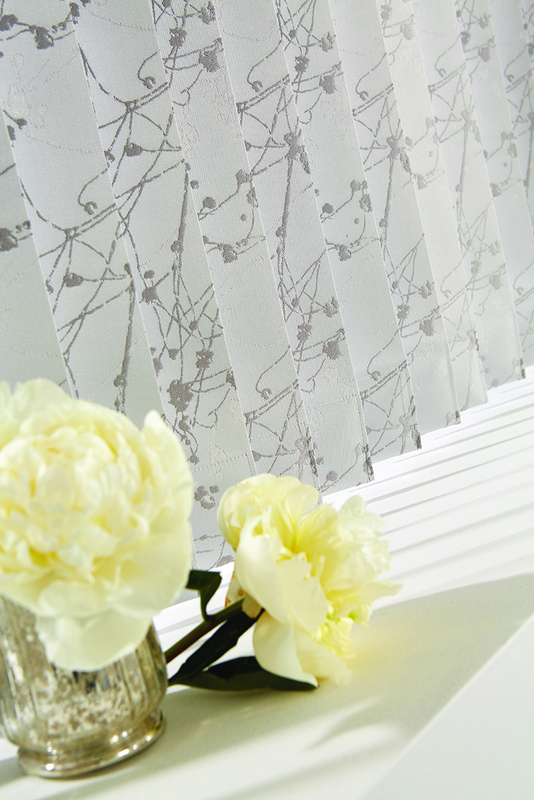 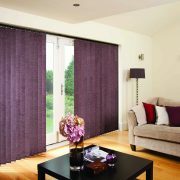 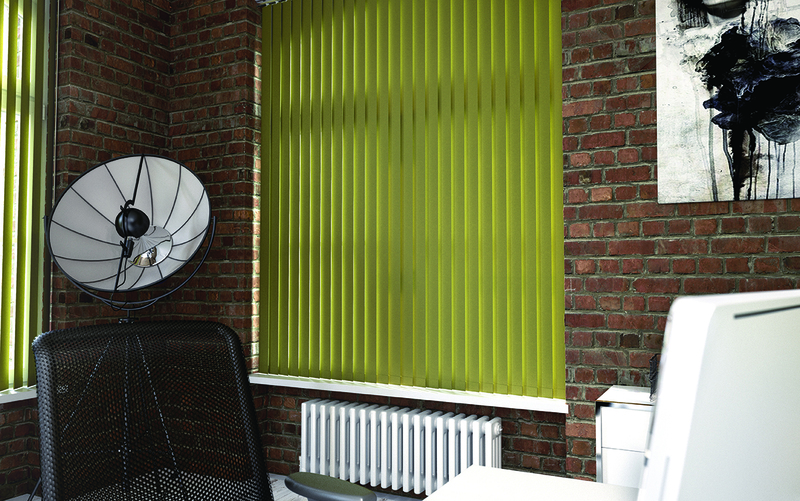 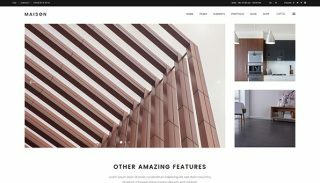 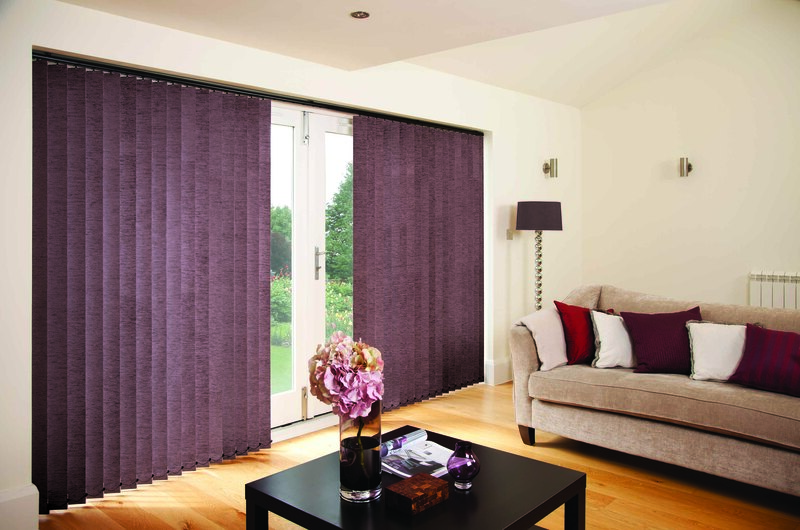 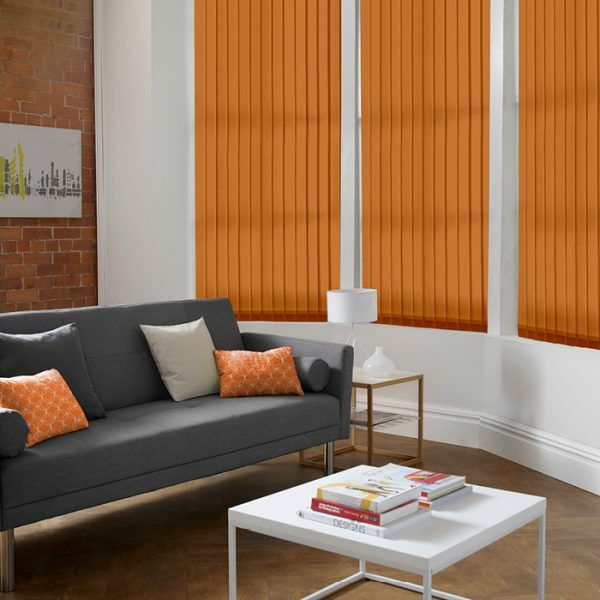 We make your blinds to measure in Leicester and offer a large selection of fabrics; including a wide range of colours, textures and prints, and Blackout, Water proof, Washable and Fire Retardant fabrics. 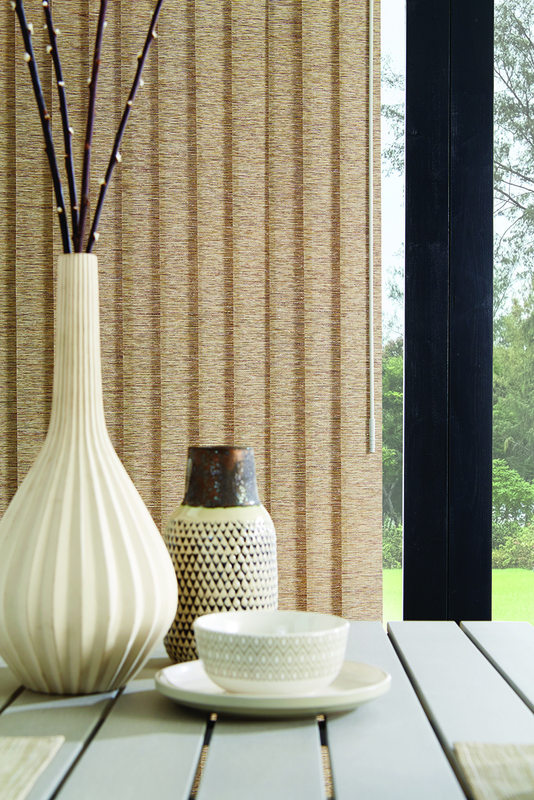 Heat reflective fabrics where heat/cold or glare is a problem. 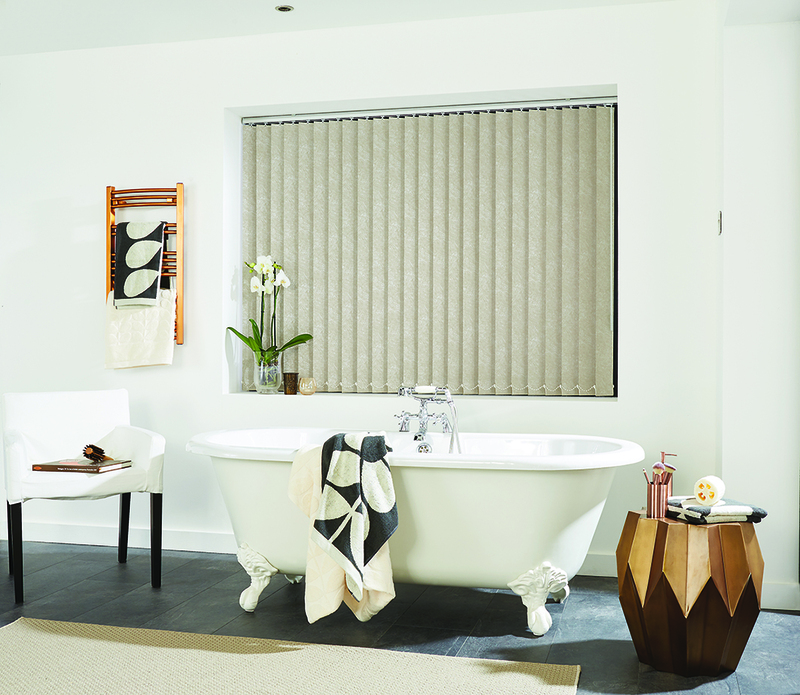 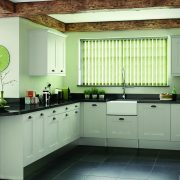 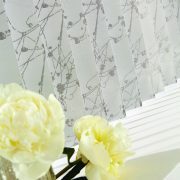 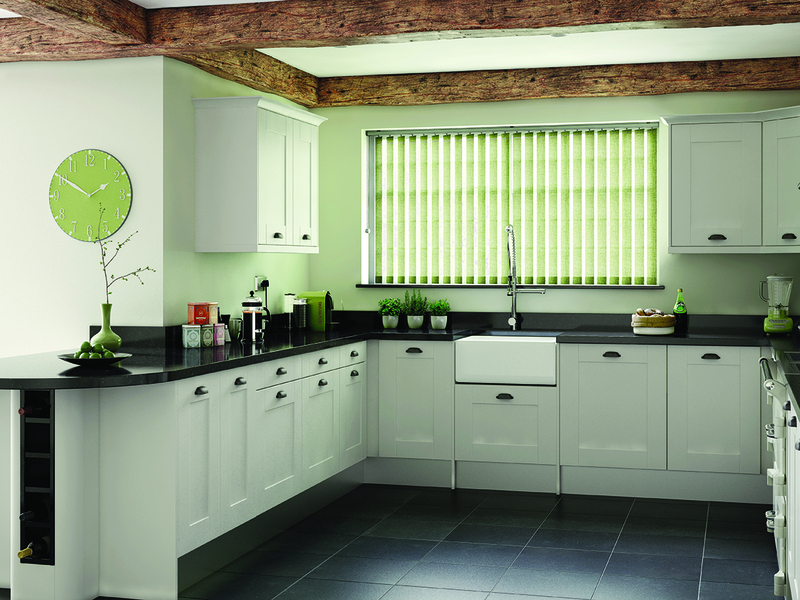 Waterproof fabrics ideal for Kitchens and Bathrooms. 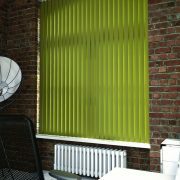 All of our Vertical Louvre blinds tested to stringent safety regulations you can choose from wand operated, this means there are no control cords, making them a great option for homes with young children chain operated with a cleat to keep the chain out of the way.